Both sides of the case is covered with 3D glasses, where with front side is occupied by a large 6.3-inch FullView screen with Full HD resolution and aspect ratio of 19.5:9. Among the new specially designed color options in the line appeared iridescent purple gradient color, where Magenta gradually turns to a shade of blue. In addition, nova 3 Huawei offers users several new features. One such feature involves the sensor of exterior lighting, which allows you to unlock the device using face recognition in all conditions. In order to provide the unlock at any time of the day at one of the cameras built-infrared sensor that can recognize the owner of the smartphone, even in complete darkness. In addition, presents the novelty is equipped with 3D animated Qmoji that pass the face, movements and voice, making the message personal and creative message. New AR animated characters add personality to your photos and videos. 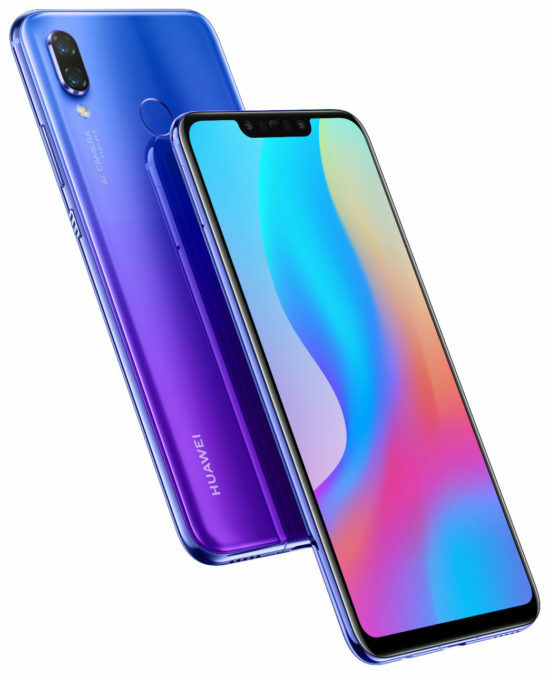 Sales of Huawei nova 3 in Russia will start on 25 August in the brand shops in the Mall metropolis, Afimoll shopping center, in the multipurpose center Huawei on Tverskaya street and in shops-partners of the company. The smartphone goes on sale in black and iridescent purple color for a suggested retail price of 29 990 rubles. Pre-order at the official online store shop.huawei.ru will be available from August 21. When you purchase Huawei nova 3 in all retail stores, users will get guaranteed gifts — Free Huawei wireless headphones Buds.